It’s a staggering figure: the United States wastes roughly 40 percent of its food each year. This amounts to more than $200 billion spent growing, processing, transporting, and disposing of food that is never used. From an environmental perspective, 20 percent of farmland, freshwater, and fertilizer goes to grow crops that are not consumed, and if global food waste were a country it would be the world’s third largest emitter of greenhouse gases. Meanwhile, 40 million Americans struggle with food insecurity. So when Emily Malina and Ricky Ashenfelter arrived at Sloan in 2013 with overlapping interests in applying technology to a complex sustainability issue, “food was a natural place to start,” said Malina. She and Ashenfelter enrolled in Ed Roberts’s “Intro to Tech Entrepreneurship,” which forced them to put their idea on paper and present it to their peers. In Bill Aulet’s “New Enterprises,” they met with representatives across the food supply chain and began to set in place the foundation for the business. By semester’s end, “we had a business plan and believed that we could bring about change in the food system and build a viable company,” she said. They continued to push forward with entrepreneurial course offerings. In “Pricing,” Malina and Ashenfelter tackled potential pricing models for different facets of the business. In “Technology Sales” they learned about go-to-market strategies. In “Product Development and Marketing,” they received coaching and feedback directly from the founders of Hubspot and Kayak. “Our coursework allowed us to build our business and grow as entrepreneurs,” Malina said. They paired these classes with competitions, like the MIT $100K and the Ag Prize, which compelled them to incorporate as a company. “I was able to tailor my entire experience at Sloan, both inside and outside the classroom, to figuring out how to turn Spoiler Alert into a company to pursue after graduation,” she said. Malina is now the Chief Product Officer at the Boston-based company, which uses software to help food distributors, manufacturers, and retailers more tightly manage their perishable inventory. 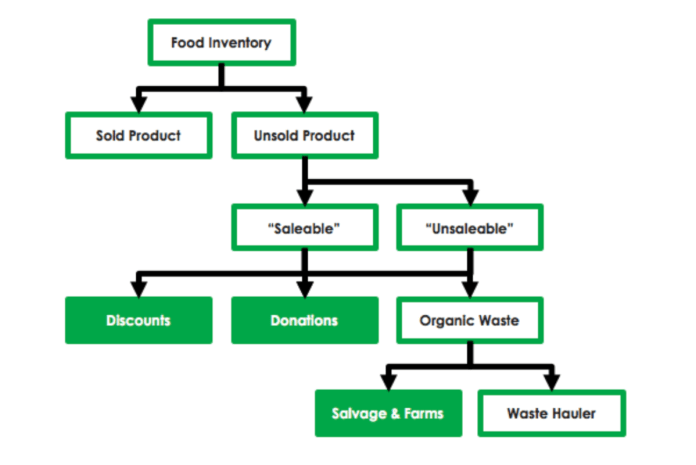 Companies use Spoiler Alert to analyze, manage, and mitigate the financial impacts of unsold inventory, and connect food that can’t be sold on the primary market with a network of donation, salvage, and recycling outlets. The company took part in two of the country’s leading accelerators, Techstars and MassChallenge, and has raised $2.5 million in capital. Nearly three years out from graduation, Malina has maintained her connection with this community. In the January term, for instance, Spoiler Alert recruits Sloan students as interns, giving them experience in a rapidly growing startup. The company has doubled in size over the last year, operates in 14 states, and works with some of the largest food companies in the country. Most surprising along this trajectory is the fact that Malina never intended to be in the position that she’s in. “For the first few months of school, Spoiler Alert was no more than a class project, an opportunity to learn about entrepreneurship,” she said. “But as we learned more about the industry, I saw that there was a real opportunity to create value.” Almost five years since, her “class project” is going strong.